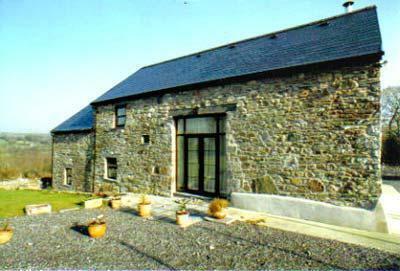 A stone lane leads to Llwynpur, a detached split-level stone barn conversion with original features. It is a very large spacious cottage sleeping 8 plus a well behaved dog will be welcomed. There are two king sized beds both with ensuites. The two twin bedrooms have a bathroom with shower overhead in bath. There are two seating areas. One large lounge with TV and pool/table tennis table. The other is a small sitting room with TV . The large kitchen has a table for 8. Electric cooker, microwave, fridge freezer and dishwasher. 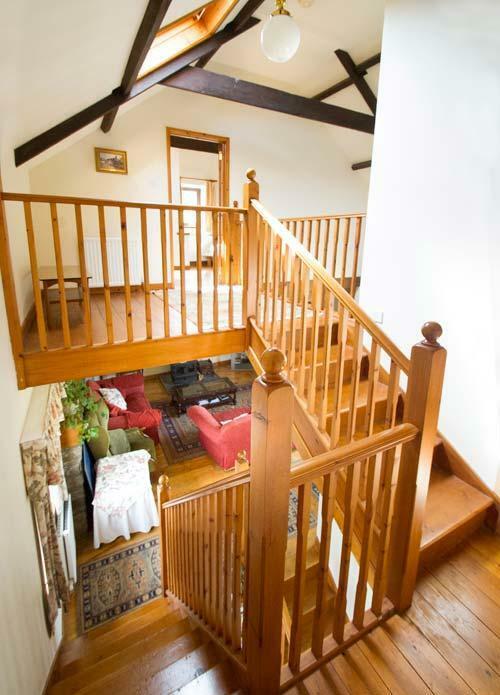 The entrance hall has steps leading to a large lounge with exposed beams, log burning stove, television and French doors to front garden. The second sitting room with television brings you down to the large fully fitted kitchen with electric cooker, dishwasher, fridge/freezer and microwave. The washing machine is in the utility room with the oil central heating boiler next to the cloakroom. 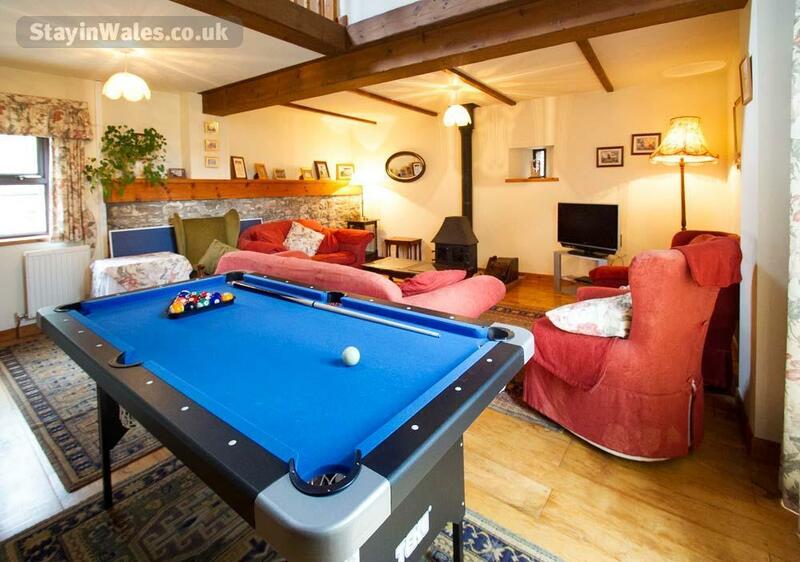 A pool/table tennis table is available in the cottage for you to use. 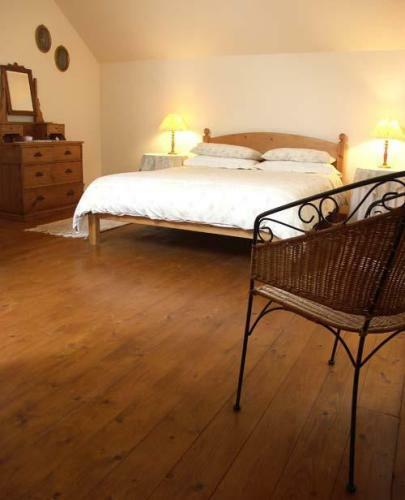 The three bedrooms have wooden floors and rugs. One double bedroom (king) with en-suite shower. Two twin bedrooms with separate bathroom with shower. 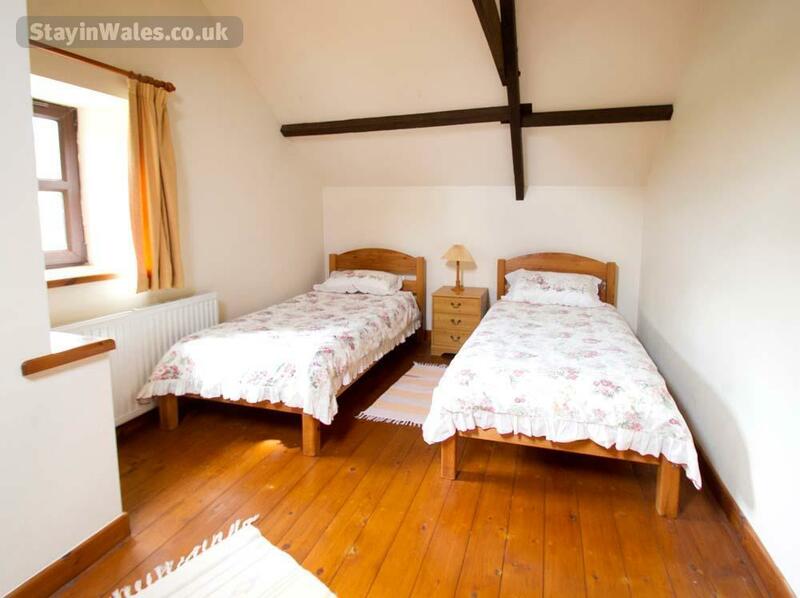 Adjoining the property is an annexe room with king sized bed and bathroom. 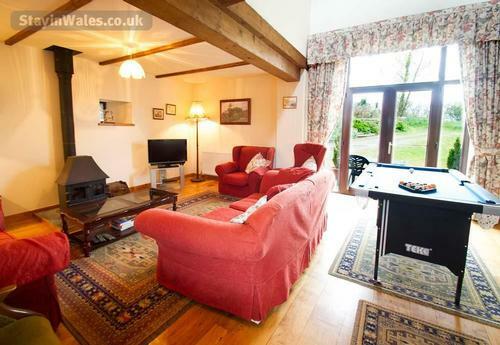 The cottage has wifi internet access throughout. Duvets and bed linen included in the price. Travel cot and high chair available. Barbecue and garden furniture are available. Plenty of safe space to park your cars. 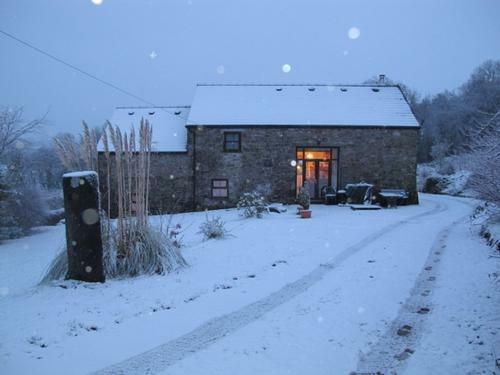 The cottage is fully insulated and centrally heated, making it a cosy and comfortable accommodation even for winter breaks. Set in a farming countryside area. Peaceful, quiet and very safe. Comments are always made to us about the peace and quietness of the location. The M4 is 15 mins away. 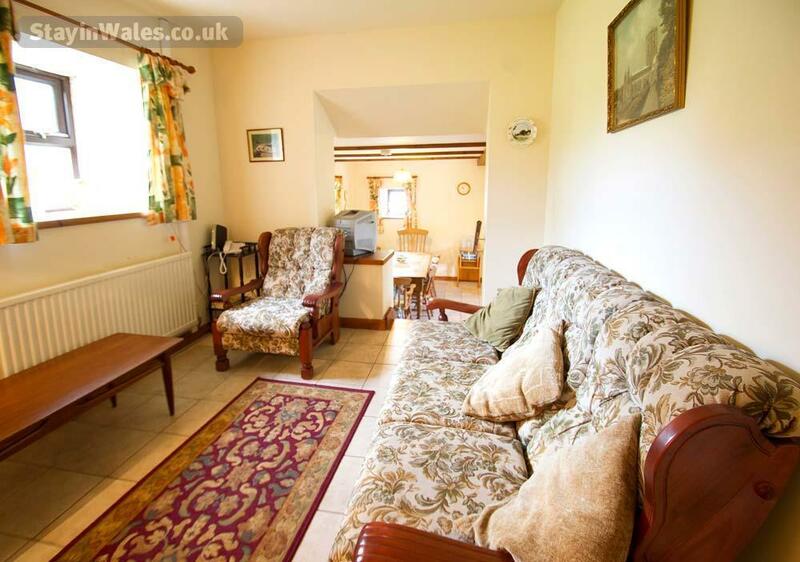 You are located in a central location between Llanelli Swansea Carmarthen and forty minutes from Tenby, Gower and the Brecon Beacons. Cardiff is an hour away. Cardiff airport at Rhoose is an hour and 10 mins away. The National Botanic gardens of Wales are 3 miles away. The villages of Llanddarog and Porthyrhyd have local shops with post office, groceries and fresh food. Carmarthen town has the major supermarkets and large stores. - M&S etc. 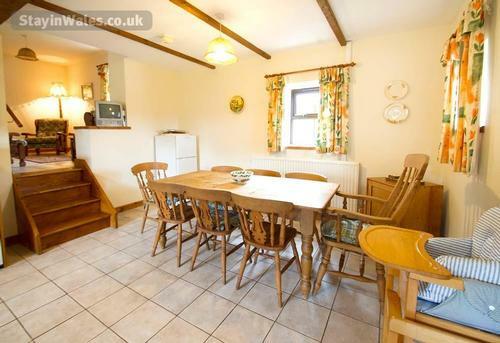 We have had a lovely holiday in this spacious cottage. Only the birds will keep you awake. The Jackson family from Essex. The description doesn't prepare you for this spacious and well equipped cottage. Hosts were very helpful. John and Eileen Smith, Truro, Cornwall. The M4 and A48 lead you to the B 4310. 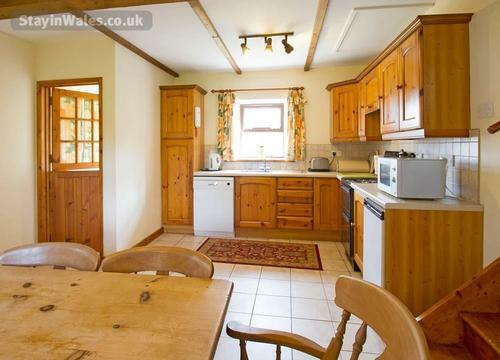 This leads you to village of Llanddarog or Sat Nav will take you to the cottage. A sign 'Llwynpur ' will be at the drive entrance. Detailed directions will be sent to you before your holiday.